Special Containment Procedures: SCP-2925 is currently contained at a dedicated facility for its containment in an airtight, reinforced, blast-resistant chamber, appropriate for Epsilon-4 Class “Highly Valuable Objects” protection. The chamber is temperature-controlled and completely dark to ensure no changes in energy within the system of the room. All interactions with SCP-2925 must be undertaken with extreme care to ensure no unnecessary changes in energy present within the object. The facility itself is isolated from other containment sites, due to the high value nature of the object, and a prior intelligence leak that resulted in the object’s acquisition by hostile agents. Onsite guard patrols consist of 6 rotating shifts of guards along with mobile security forces on standby in the event of a breach of the facility containing SCP-2925. As of 11/30/12, no further testing with SCP-2925 is to take place. 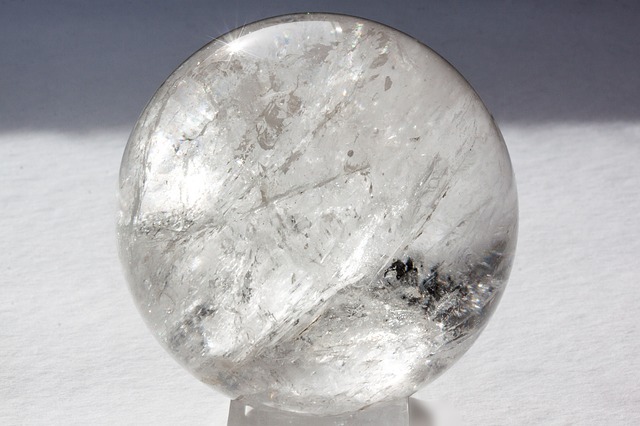 Description: SCP-2925 is a glass sphere, roughly 10 cm in diameter and 1 kilogram in mass, that is capable of anomalous energy creation and storage. SCP-2925 violates the first law of thermodynamics by mimicking any changes in energy of its surroundings and storing the change in energy within itself. For example, if SCP-2925 were lifted by 3 meters, resulting in a net gain of 29.4 joules of gravitational potential energy for SCP-2925, SCP-2925 is somehow capable of duplicating said energy and storing it within the object. Thus, SCP-2925 would not only gain 29.4 joules of gravitational energy, but would also store 29.4 joules of gravitational energy within it. Testing has been unable to identify any forms of energy or energy transfer that SCP-2925 cannot replicate. SCP-2925 has, to date, successfully duplicated the following sources of energy transfer. Increasing the surface temperature of SCP-2925 to duplicate thermal energy. Moving SCP-2925 in order to duplicate kinetic energy. Increasing the height of SCP-2925 in order to duplicate gravitational energy. Placing SCP-2925 in a compressed spring in order to duplicate elastic energy. Notably, changes that would result in a loss of energy for SCP-2925 (e.g, lowering it) do not seem to cause a loss of stored energy. It is also unknown how exactly SCP-2925 stores the energy it duplicates, as well as any limit in how much energy it can store. Any structural damage that causes SCP-2925 to fracture, shatter, or otherwise expose the interior contents of SCP-2925 immediately leads to a violent reaction that results in the release of all energy stored in SCP-2925 in the form of an explosion. Given the ability of SCP-2925 to easily duplicate energy, the release of SCP-2925’s stored energy can cause extensive damage. Following the release of all stored energy, SCP-2925 reconstitutes itself within 30 minutes of the release of energy at the same site where it was sufficiently damaged. Given that SCP-2925’s glass structure does not seem to be any more shatter-resistant than normal untempered glass, rupturing the object does not require much force, since the surface of SCP-2925 is also quite thin, thus requiring extreme care when handling the object. SCP-2925 was initially discovered by Foundation agents in 1954 in the Russian Far East region. SCP-2925 was dropped on a high altitude bombing drill by Soviet bomber pilots under the cover of nuclear weapon testing, though it was in actuality a test of SCP-2925’s capabilities. Said drop resulted in the release of the equivalent of 13 megatons of TNT, over 370 times the combined output of the release of the atomic bombs “Little Boy” and “Fat Man” on Hiroshima and Nagasaki, and nearly matching the Castle Bravo test, the largest nuclear test ever conducted by the United States, which released 15 megatons of TNT. Foundation agents recovered the object following the test at the center of the blast radius. In addition, the governments of the United States and the Russian Federation have requested control of SCP-2925 on multiple occasions. In particular, the Russian government has made multiple demands for the return of SCP-2925, due to the perceived “theft” of the object from its predecessor, the Soviet Union. All requests are to be denied, by order of the O5 Council. Should diplomatic agents make any mention of SCP-2925, Foundation assets are not to respond in kind. Incident Log 2925-A: On 1/25/10, the Group of Interest known as the Chaos Insurgency launched an attack on Site 139 in order to acquire several SCP objects. During the raid, 5 researchers and 14 guards were killed. 10 researchers and 20 guards were also wounded in the attack. Chaos Insurgency casualties were estimated at over 40 killed and wounded. During the attack, SCP-2925 was lost, and presumed stolen by the Insurgency at the time. A Foundation assault of an Insurgency base on 11/29/12 resulted in the recapture of SCP-2925 along with the original research notes concerning SCP-2925. An interrogation of an Insurgency researcher included the following exchange. Interrogator: Interrogation Specialist Maximilian Woodson. The following took place roughly 2 hours into the interrogation session. Woodson: So, then on to a different question. SCP-2925. The glass sphere. How does it play into things? Bengtsson: It…was a high priority target in a raid several years ago. I think the value is quite obvious. Woodson: How were you planning on using it? Woodson: You and I both know that’s a lie. Are you going to tell me the truth or do I have to ask again? Bengtsson: (Pauses) We were planning on filling it with energy and using it like a bomb. Fly it over a base, you shoot down the plane, the sphere falls, no more base. It is a reusable weapon of mass destruction. The use is obvious. Woodson: So how much energy have you filled that thing up with right now? Bengtsson: Of that, I could not say. Perhaps it has the energy of a hand grenade. It could have enough to blow up a house. Or a neighborhood. Or even a city. Maybe it simply has the energy of a kitchen toaster. I was not privy to such things. Further interrogation led to no conclusive answers on how much energy is present in SCP-2925. To this date, no attempts to gauge how much energy SCP-2925 has stored have succeeded. A formal request for upgrade to Euclid status was submitted at this point. Related Documents: Documents seized from the Chaos Insurgency indicated that the Group of Interest had spent considerable resources in order to conduct research into the origin of SCP-2925. The Insurgency identified the original researcher in charge of SCP-2925 as a Dr. Yevgeniy Golovkin, a former GRU-P scientist. Dr. Golovkin excavated the object from an Aztec site in central Mexico, as well as discovering a previously unknown codex. Insurgency personnel interrogated Dr. Golovkin and seized all of his research on the object. Relevant portions are compiled here, along with other Insurgency documents. A reproduction of the image mentioned in Dr. Golovkin's research. Note the shimmering orb present on the deity's chest. Agents were finally able to recover the codex, which is a minor miracle, considering how many of these were destroyed. The codex confirms my research that the orb is indeed a religious piece, and not a weapon, as Dr. Zyuganov believed. 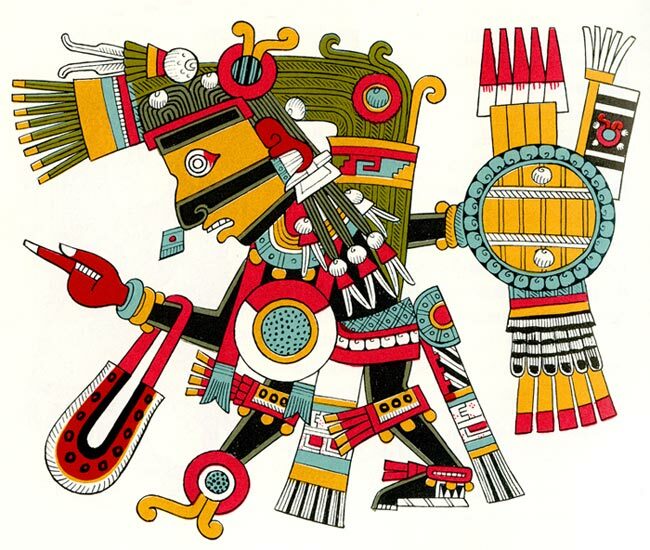 Interestingly, the codex includes a reprint of the image of the supreme deity Tezcatlipoca from the earlier discovered Codex Borgia, and it notes that the disc on the chest of the deity is in fact, the orb. Interrogator: Tell us more about the orb. If it’s not a weapon, then what is it? Dr. Golovkin: You have heard of Aztec sacrifices? Interrogator: Sure, freaky looking priest cuts out someone’s beating heart. What’s your point? Dr. Golovkin: Sacrifices in all religious ceremonies serve the same purpose. Killing a goat or a person is intended to be an offering of the energy of the creature itself….The bigger the creature sacrificed, the more energy you offer, leading to a bigger response from what common people call deities. Interrogator: Why does a god care about sacrifices or energy? Dr. Golovkin: Energy is the basic unit of currency for the entire universe…every action requires some form of it, and all entities are bound to the requirements of energy consumption…even gods. Offering energy is a way of currying favor. Dr. Golovkin: …is a sacrificial centerpiece. A bargaining chip that makes a man the equal of a god. Body: Intelligence recovered from Dr. Golovkin and the codex match up with our ongoing research on the object. Following 4 weeks of energy collection, researchers were able to make contact and sustain a connection to trans-dimensional entity Epsilon. Negotiations for an exchange are underway, but the lawyer tells me we should be able to get the primary target. This deal should make both sides veeery happy, to say the least. Formal Request for Upgrade: Dr. Sonia Oland submitted the following request for upgrade. The documents we captured from the Chaos Insurgency, along with more intensive research on the subject from our own personnel have yielded a few conclusions concerning SCP-2925. 1) Dr. Golovkin's hypothesis has been tentatively confirmed, as tests have concluded that there is evidence of anomalous reality manipulation or extradimensional transfer of energy/matter using this object at some point. 2) Historical research of the object has revealed that it belonged to a minor Aztec tribe, whose numbers imply that they could never have used the object efficiently enough for major sacrifices. 3) We have no idea whether or not the Insurgency was able to successfully complete the transfer mentioned in their internal memo. If they did, we have no idea with whom the transfer was completed, and what they gained in return for their offering. On the basis of conclusion 3, this leaves us with two possibilities. 1) If the Insurgency was not able to finish their transfer, we're left with an object of enormous potential value to the Insurgency (and whoever they contacted), which makes this an enormous risk for containment breach by external actors, to say nothing of the fact that this is still a thin glass sphere that potentially contains enough energy to obliterate an entire base. 2) The possibility that worries me more is that the Insurgency was able to complete the transfer. That would leave us dealing with an extradimensional deity who now has been given a significant amount of power by the Insurgency. Even worse, the thought of whatever could possibly have been given in return to the Insurgency does not exactly paint a bright picture. Requesting an immediate upgrade to Euclid status, along with the cessation of all testing. Following unanimous vote of the O5 Council, SCP-2925 was upgraded to Euclid status. Object moved to dedicated facility under current containment procedures.